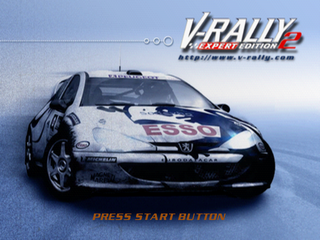 V-Rally 2: Expert Edition, known as Test Drive V-Rally in North America, is a rally game for the Sega Dreamcast and a sequel to the PC game, V-Rally. It was known as V-Rally 2: Millennium Edition during development. Main article: V-Rally 2: Expert Edition/Magazine articles.